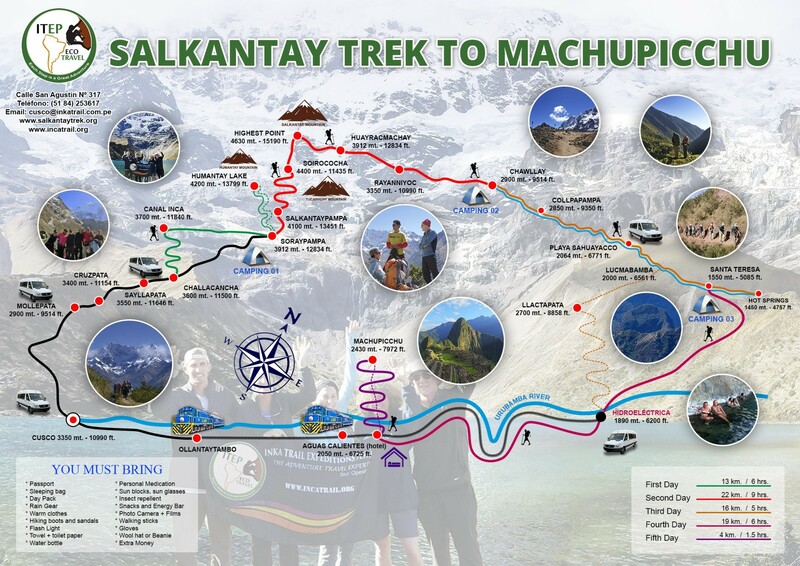 Short Salkantay Trek is suitable for those trekkers who wish to see Mt Salcantay from near but they do not have sufficient time to go all the way or restricted to go there by other reasons. This short Salkantay trekking package offers you to face breathtaking view of Salcantay glacier and other mountain peaks. Not only mountain views, you will get great opportunity to explore Machupicchu Inca City and have a close look at their fascinating Andean culture”. Day 3: Collpapampa - La Playa - Lucmabamba - Hidroeléctrica - Overnigth in Aguas Calientes. At 6:45 p.m. (depending on availability), you will be taking a train to Ollantaytambo and from there; a bus will drive you to Cusco.